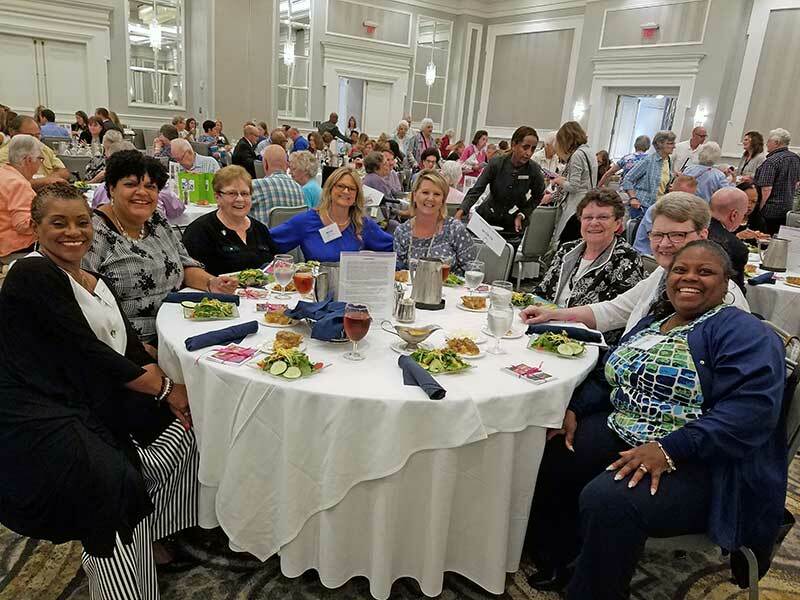 Staff and Sisters from the Mohun care Center attend the LeadingAge Ohio’s Workplace Excellence Award on August 30, 2018. From right to left: Venie Coleman, Human resources; April Queener, Administrator; Sr. Anne Keenan, Leadership Liaison; Michelle Kiner, Director of Nursing; Elaine Rose, Unit Manager; Sister Carole Hermann, Co- Resident Life Director, and Sister Arleen Kisiel, Mohun Pastoral Care. COLUMBUS, OH – More than 1.4 million people, the vast majority which are elderly, live in America’s 15,000+ nursing homes. More than 1.5 million nursing professionals care for those seniors – but the work is not easy.1 Industry wide, staff turnover among nursing home employees ranges between 55 and 75%2, at a cost of $22,000 and $63,000 per individual. Mohun Health Care Center, a long-term nursing facility in Columbus, OH, founded by the Dominican Sisters of Peace, is bucking the turnover trend. Fewer than 17% of staff members leave the organization per year. This is one reason why Mohun has been recognized by Leading Age Ohio with their newest award – the Award for Workplace Excellence. Mohun Health Care Center is a 72-bed facility dedicated to the long-term care of retired religious. Its population is predominantly female, retired members of the Dominican Sisters of Peace, with a few retired priests as well. Employees agree with Leading Age Ohio’s workplace excellence designation. The administrative staff accepted the LeadingAge Ohio’s Workplace Excellence Award at the organization’s Annual Conference and Trade Show in Columbus, OH, on August 30, 2018.